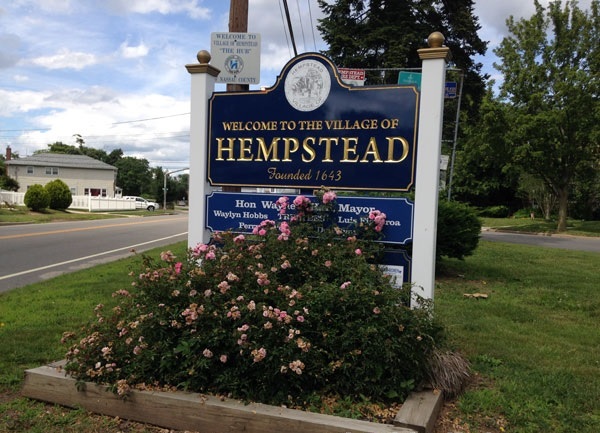 Founded in 1643, the Village of Hempstead is one of the oldest towns in New York state. The Town of Hempstead occupys the southwestern portion of Nassau County, New York. Twenty-two incorporated villages are entirely or partially within the Town of Hempstead. There is also a village of Hempstead located within the town. The Town of Hempstead is 191.3 square miles, 71.4 square miles of which is water. The town of Hempstead was founded in 1644, and named after Hemel Hempstead, Hertfordshire, England, the birthplace of town founder John Carman. During the American Revolution, the supporters of the Crown, the Tories, and American sympathizers, the Yankees, caused a split between Hempstead and North Hempstead. In 1899, when Queens County was split to become part of New York City and form Nassau County, some portions of Hempstead were absorbed by Queens. Hempstead's total combined population, according to the 2010 census, is 759,757. If the town were to be incorporated as a city, it would be the second largest in the state behind New York City and ahead of Buffalo. The estimated median household income of the town is $84,362. Hempstead Lake State Park, Valley Stream State Park and Jones Beach State Park are all located within the Town of Hempstead. Jones Beach is considered the most popular beach on the east coast of the United States. Lufthansa and Swiss International Air Lines have their United States headquarters in East Meadow. Hofstra University, New York University and Nassau Community College all have campuses in the Town of Hempstead.